Bringing The Game To The Streets & Parks Of Ohio And Beyond! The Golf Outing Of The Year Benefitting The Children Of Ohio And Beyond! Sharing And Caring Through The Worlds Beautiful Game! Futsal Reaches The Olympics, and HandsOnSports Is There! April 26th, Goodyear Hall, Akron Ohio. Doors Open at 5:30pm, 7:35 Kick-off. 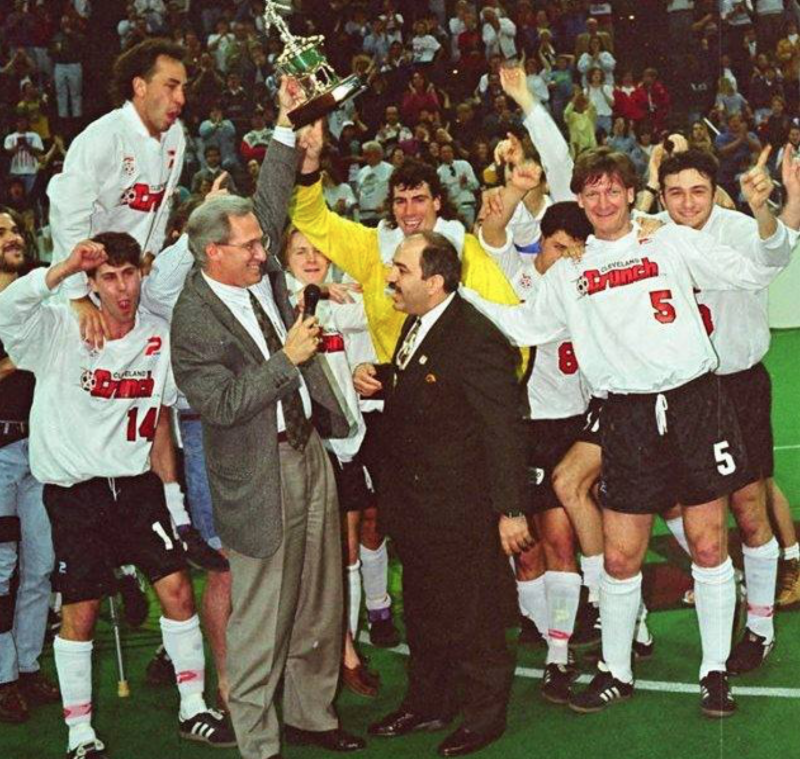 Cleveland Crunch players are coming together for another championship effort to celebrate the 25th anniversary of giving fans in Northeastern Ohio a coveted pro sports title. They have partnered with two charities that focus on helping children to present a reunion game and night of nostalgic fun on Friday, April 26th at Rubber City Sports at Goodyear Hallin Akron. The mission ofThe Max Cure Foundation, Inc.,is to fund research for the development of pediatric cancer drug therapies including the discovery of less toxic treatments for children with cancer; to financially assist low-income, military and first responder families battling cancer in their children; and pursue legislative and regulatory changes that seek to benefit children with cancer and at the same time, raise awareness to the needs of those fighting pediatric cancers. 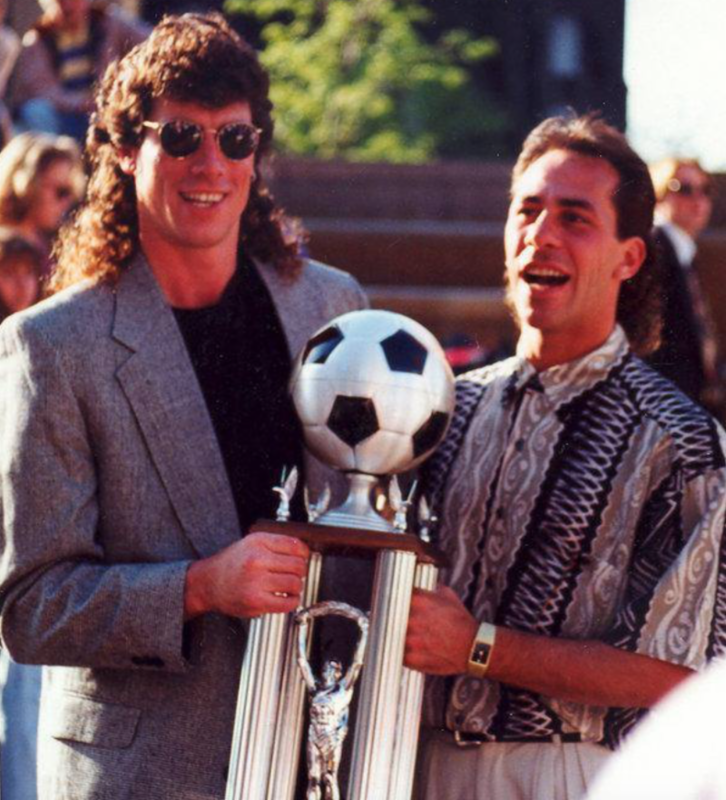 “We met so many great kids in those Crunch years that having the opportunity to give kids today hope through Max Cure really means a lot,” said Hector Marinaro, who scored the winning goal 25 years ago for the National Professional Soccer League title. 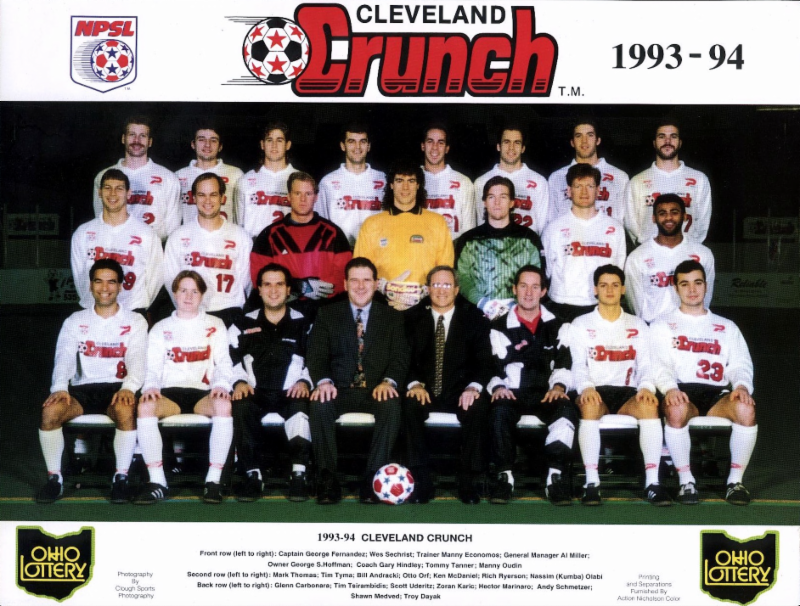 On April 27, 1994, the Crunch presented fans a night to remember, giving Cleveland a pro sports team championship for the first time in 30 years. It took a Herculean fourth-quarter comeback and into a second overtime as a capacity crowd stood and screamed for victory in front of a national TV audience on ESPN2. Marinaro’s goal set off a wild celebration that lasted until nearly dawn. Goalkeeper Otto Orf started the winning play with a dramatic header in the 17-15 win over St. Louis. The mission of Orf’s HandsOnSports Foundationis to provide positive environments, education, and opportunity for at-risk youth through the global sport of soccer. The vision includes providing equipment and instruction for youth in communities where recreational opportunities are limited. There’s no limit on fun sponsorship opportunities at the event, which will include auctioning off memorabilia not only from the Crunch but other sports as well.